A woman was arrested after starving her 3-year-old daughter because her husband wouldn’t grant her a divorce or give her any money. 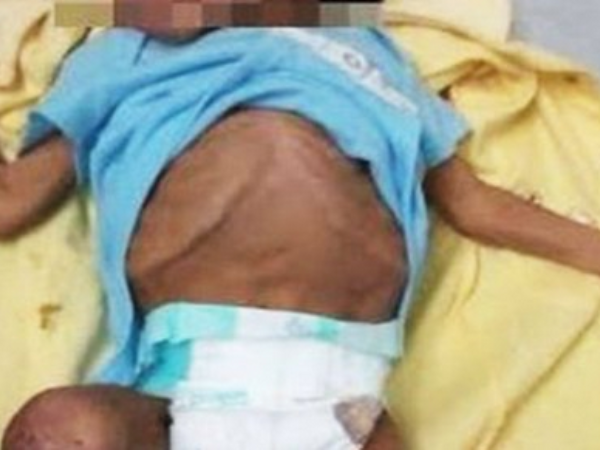 Guinerve Valentin, from Tijuana, Mexico, was arrested after the malnourished and bruised toddler was discovered by social workers. “I don’t care, I know she [her daughter] is dying,” she told police. The 26-year-old also has two other sons, aged four and five. “All three children have been taken into care,” said a police spokesman. A photo of the toddler was released, although her face was pixelated to protect her identity. Although she is recovering at this time, it is unknown if there will be any long-term health issues due to the extreme undernourishment.